A tale of two collections that come together to form a perfect mix of traditional and modern. Sophisticated styling and versatile color options are plentiful in this exclusive collection of passementeries that will make a bold statement in any decor. 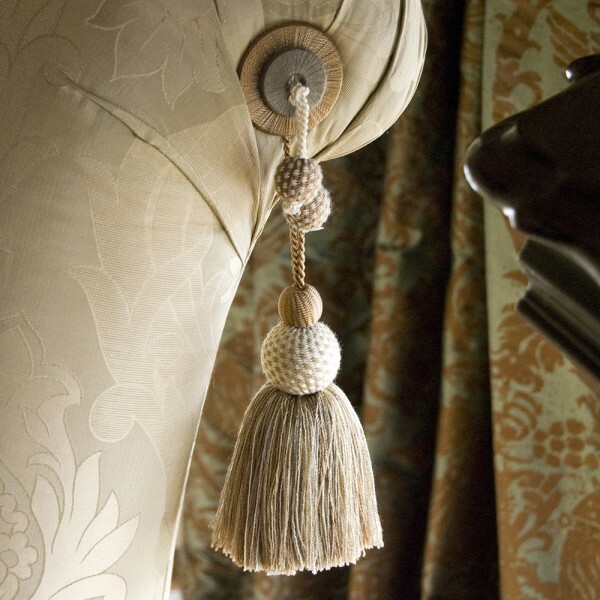 Accent draperies with our grandiose tassel fringe nicely complemented by our beautiful double-tassel tiebacks. Refine your drapery look with our bobble fringe and one-of-a-kind double ball tiebacks. Don't miss the intricately-detailed tapes, gimps, fringes and buttons within the collection.